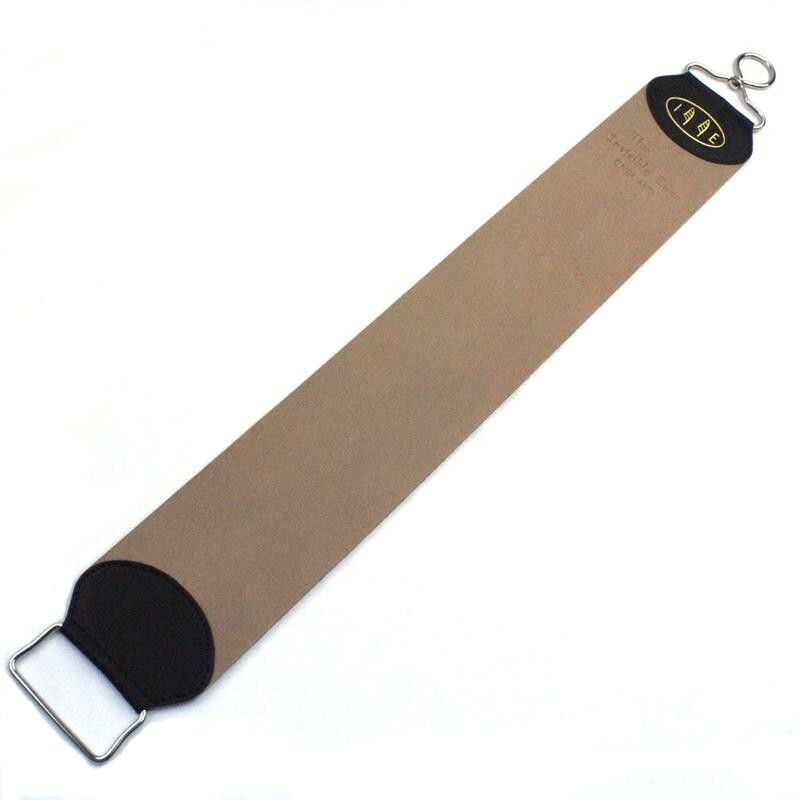 The Invisible Edge extra-wide leather strop is a full 3" wide (slightly wider in fact!) and is made from top quality premium cowhide. It is designed for use as a hanging strop and is fitted with a simple yet robust hanging ring and bottom grab handle and measures approx 22" in total length - the length between the end pieces is approx 15 3/4 ". 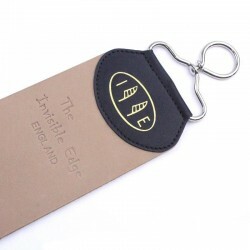 The Invisible Edge extra-wide leather hanging strop is a full 3" wide (slightly wider in fact!) and is made from top quality premium cowhide. It is fitted with a simple yet robust hanging ring and bottom grab handle and measures approx 22" in total length - the length between the end pieces is approx 15 3/4 ". 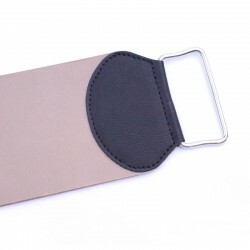 A great strop for those wanting something a little more heavy duty and, in particular, a strop that accommodate the full length of the straight razor blade. This strop has one useable side, it is not canvas backed.